The use of liners in civil and environmental applications is becoming more widespread as there develops a greater understanding of the effects of contaminated ground conditions on structures and the environment. Global Synthetics are able to offer a wide range of liners that are compatible with the diverse range of applications and contaminants likely to be encountered. Bentofix® Geosynthetic Clay Liner (GCL) is a factory produced wide width rolls of bentonite “sandwiched” between layers of geotextile. GCL’s are an engineered replacement for traditional clay lining of proposed containment structures. Global Synthetics Geosynthetic Clay Liners offer the designer an engineered equivalency to clay without the costly import and placement and quality control costs associated with this traditional method. 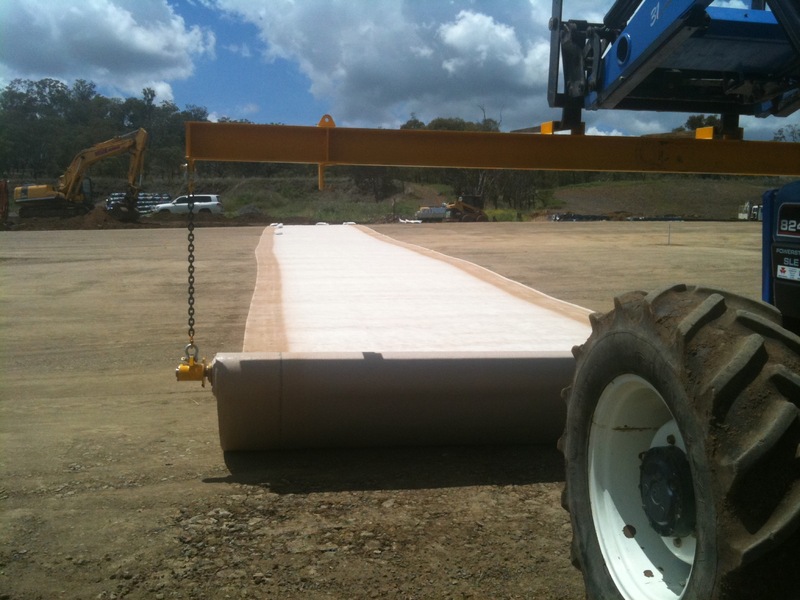 The volume of containment may be significantly increased with the use of a Global Synthetics Geosynthetic Clay Liner as the product offers equivalency to very thick layers of compacted clay. Bentofix® GCL with nonwoven cover geotextile and woven carrier geotextile. Self-sealing side overlaps (with embedded bentonite 500mm from side edge of roll). Most common grade compliant with Best Practice Environmental Management (BPEM) policy. Ideal for base liners, cappings and used mainly as a replacement of thick, difficult to build, compacted clay liners.